Last month, the lovely and talented Terri Heinz, of Artful Affirmations gave us a glimpse into creating her Jane Austen themed Christmas tree ornaments. This month, she returns with ideas and inspirations for even more Austen ornaments as well as her fantastic ideas for wrapping your Jane inspired gifts! Terri demonstrates how to create your own Austen inspired Christmas. This month, we’ll look at an adorable teacup ornament made from a photograph of one on display at Chawton cottage. Here, Terri tells how she created it. When I was visiting Jane Austen’s home in Chawton, England, I was lucky enough to get a picture of one of the tea cups from their family’s dining room. I used the image to create this cup ornament. I created this page to cut out, the dark edges helps to see where to cut. Click on the picture to be taken to a large format version which you can save and print as a photograph. I used some Stickles to glitter it up. It is lovely and glittery! I backed the paper cup with some writing from a letter of Jane’s and then just added a little ribbon. You can click on this image to be taken to a full size image that I used to print off some paper for the backing. 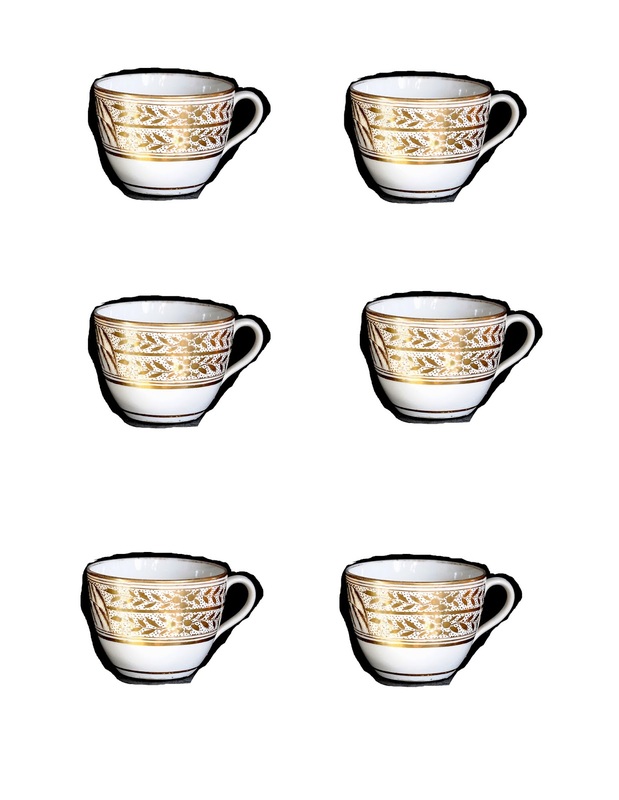 but I really did not want to obscure what the Austen’s china looked like. My newest ornament is this lacy “Jane Austen”, made with bits and scraps of lace and ribbon, a tiny bottle brush tree and a printed copy of a Regency portrait. The artist is the English portrait painter William Beechey, and the woman he painted is Marcia Fox. I believe this image was one of the first portrait art used on a Austen book cover. She looks very Jane like to me. My dear friend Suzy creates beautiful angel ornaments in this style, and I crafted this with Suzy’s angels in mind. “Be Merry in the Moment” is written on one of her ribbons. It seemed like something Jane might say. I decided to copy out some of Jane’s writings in the “Jane Austen” font (which I downloaded from a free font site online) and printed it out on paper to wrap gifts with. I used the Jane Austen cameo stamp to make the tags. You can see beneath the gifts the ruffled tree skirt I made out of batten. I do love the soft look of it. If you can not find this stamp anymore, you can use a cameo image of Jane from online images, search “Jane Austen cameo images”. There is also a Jane Austen stamp set that includes a cameo stamp at Oxford Impressions. I tucked a small white quill under the ribbon on this gift. Since Jane wrote with a quill, I thought it might be a nice touch. Here I am in Jane’s dining room, and there in front of me is the table she wrote at and a quill. I get goosebumps just seeing this image again! Remember, the most important part of Christmas is not crafting, decorating or shopping… (those these are joyful too…not the shopping though…lol) The priceless part of celebrating Christmas is the magic of HOPE and being with loved ones! I began making things with paper since I could hold a pair of scissors in my little hands. Since then I have added all kinds of creative processes including writing, sewing, mixed media art, jewelry art, and have had more joyful moments than I could have ever imagined. Reading has been a favorite pastime since I was a young teen. Jane has drawn me into her wonderful worlds many afternoons and evenings. She inspired me to visit England and I am lucky to have returned many times. Tea is also a favorite of mine, and I have shared many online tea times with other tea loving bloggers around the world. Creative Workshops hosts two artful classes I teach, and there are many free video tutorials on my blog, Artful Affirmations. Creating art, sharing art, and meeting artful others all over the world has enriched my life.